The space is small and laid-back, elegant without being unpretentious. Bohème opened in 2015 in the centre of Faro and instantly won over customers with its terrace and its simple yet efficient slogan: “Be here for a beer”. The bar list features around 40 national craft beers, of course, but there are also snacks, sandwiches, coffee and juices. Cocktails with caviar, foam or air? Bluum has them. With a modern, cosmopolitan atmosphere (as is to be expected in this 5-star hotel), this bar in Albufeira stands out for its molecular mixology concept, which gives life to unique cocktails that combine scientific know-how and innovative flavours. Besides these, there are also various classic cocktails, several signature cocktails and also workshops, live music and themed parties. Everyone has been talking about Columbus and it’s not just because of the faultless decoration and the impressive architecture, with vaulted ceilings that add plenty of character. This family business, located in Faro, is known for the care placed in all the drinks served here. Among its long list of awards are the prizes for Best Bar Team at the Lisbon Bar Show 2016 and Best Barman at the World Class Competition 2016. A must-visit in the Vale do Lobo area, Monty’s is known for its wide range of beers, delicious cocktails, an elegant décor that borders on nostalgia, and the many celebrity regulars (don’t be surprised if you spot a footballer or two). Also home to a restaurant, the impeccable and welcoming service is also noteworthy, as are the many events organised here, from live music to themed parties. It’s all in the name! Adjacent to the lobby at Vila Vita Parc, this little oasis offers a relaxing place to enjoy the hotel's atmosphere, where you can grab a drink or a snack at any time of the day inside or on the terrace. By night, experience the transformation of the Oasis Bar as it becomes the centre of evening activity in the resort with great cocktails and extensive range of premium-label drinks. 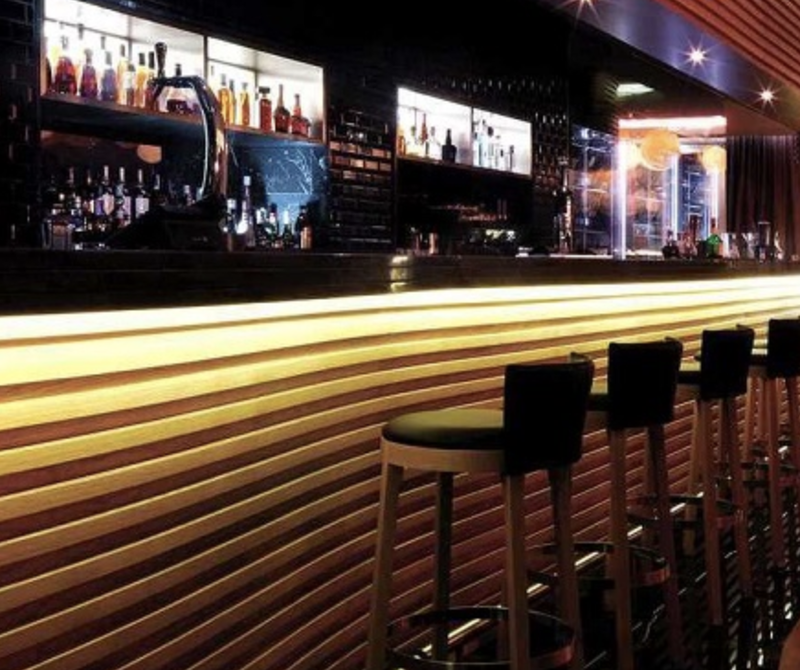 The trendiest upmarket bar in the Algarve. Here, expert mixologist and head barman, Nelson Matos has created a unique tantalising cocktail list based on Hollywood films. Challenge him to create your ideal drink, you won’t be disappointed. On hot summer days enjoy the terrace and in the winter make the most of the Nordic decor and its oversized fireplace. This is “the” spot for a cocktail, snack or a beachfront boogie. What started off with an ice-cream factory in the Western Algarve, soon became an Italian catering empire. 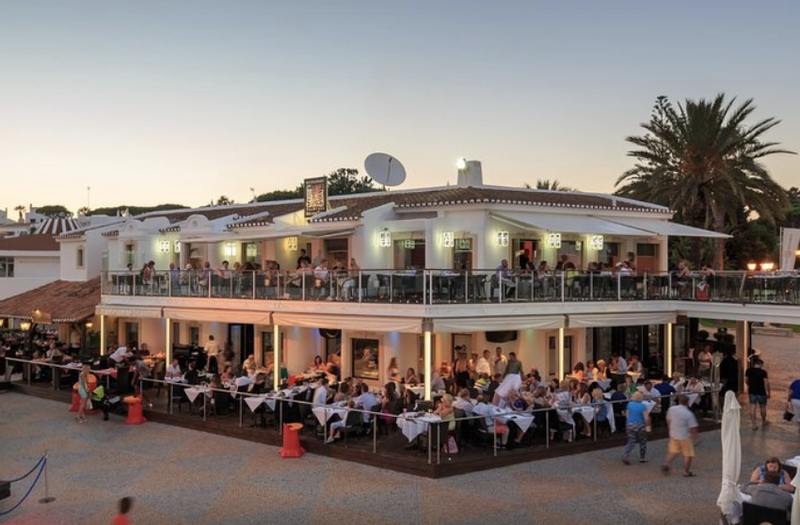 NoSoloÁgua is one of three waterfront bars (Vilamoura and Portimão), now famous for their creative summer sunset parties. It’s the place to be if you want to cool off in style during the hot summer days. 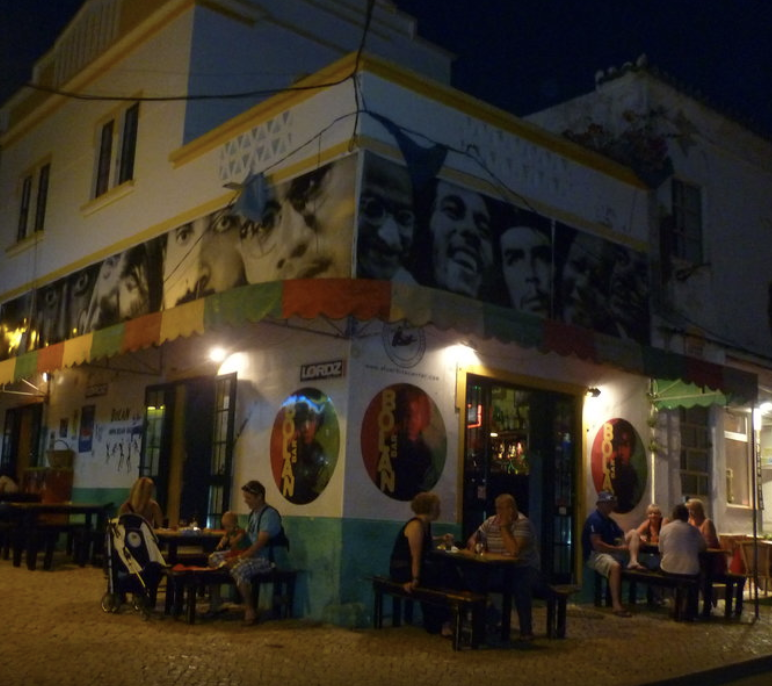 Set on Alvor’s busiest street, Bolan Bar is famous for serving the Algarve’s best caipirinhas. Owner Caubi claims to be Bob Marley’s cousin. In truth he came to Europe from Mato Grosso (Brasil) to play football. He later became a rastafari and, together with his son, now runs Alvor’s most colourful and popular Jamaicanthemed bar. 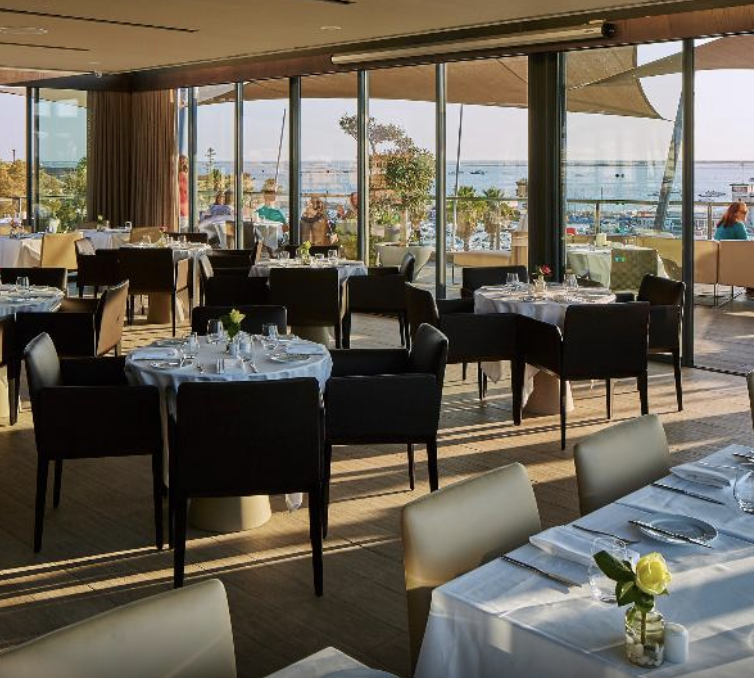 Recently refurbished by design extraordinaire Space Invaders, the Ria Formosa Lounge Bar, on Hotel Faro’s rooftop terrace, boasts the best view in down town Faro overlooking the city and the Ria Formosa. Ideal for a sunset drink in the summer or an afternoon dip in the pool to cool off.